Each month, American Family Housing would like to introduce a volunteer who has gone above and beyond in their service to our organization. This month that distinction goes to Laura Yorba! 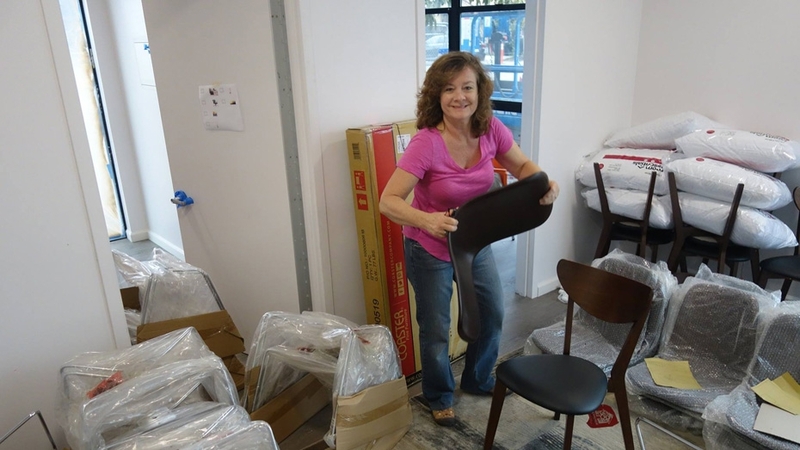 Laura Yorba, Allied ASID, has been involved in the design industry for over 30 years. She was inspired at the age of 12 when she noticed models homes being built by her house. She could not believe someone gets paid to decorate! That drove her to pursue a Bachelor’s Degree in Fine Arts from California State University of Long Beach. Besides operating LCY Designs, a design firm that offers interior design services throughout Southern California, Laura also uses her skills and knowledge to serve charities that gives back to the community. Her philanthropic work includes redesigning the Fullerton Interfaith Emergency Services shelter in 2006 and the VIP Adult Day Care Centers in both Santa Ana and Anaheim, in 2007/2008. Laura is also the Director of Fundraising for Koko’s Village, an AIDS orphanage in Kitale, Kenya. This non-profit was established in 2009 when her daughter was on a mission trip there. She, along with a native Kenyan, created this afterschool program for the children in Kitale. Today Koko’s Village has grown to be a school with 77 students attending. All children are welcome to attend and they are given supplies, uniforms and food at no cost. Laura picks a project each year where she donates her time to help with the cause. This past year, Laura decided to help make Potter’s Lane a home by donating her time and skills in carefully curating the space. She mentioned, “Working on Potter’s Lane and working with everyone at American Family Housing was an amazing experience.” Our veterans truly deserve a place to finally call home and we are so happy and appreciative of Laura’s time and effort in giving each apartment its cozy atmosphere. American Family Housing would like to thank Laura Yorba for donating well over 100 hours of her time to create a community that our veterans can call home!